The bride-to-be was too excited and didn't get to sleep at all the night before. 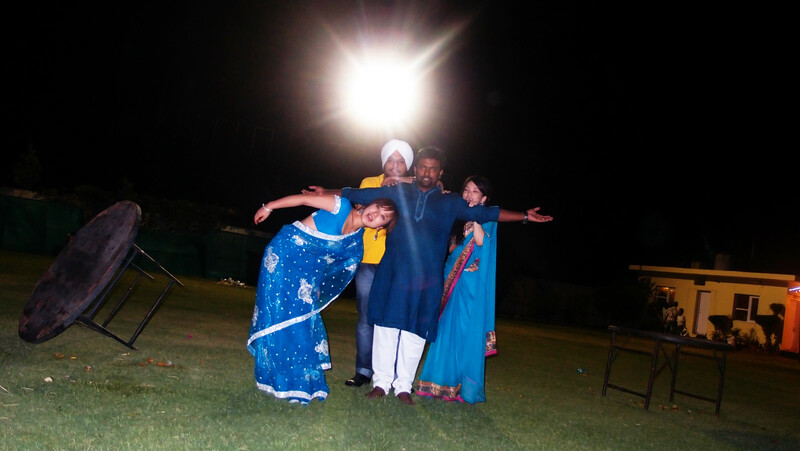 We helped out a bit on packing on the necessities for the wedding and set off to Chandigarh on 3 vans. From Kiratpur to Chandigardh, it was around 4 to 5 hours drive, but we stopped by the Ganges River, because Hanika had to do a special ritual before her wedding - i.e. 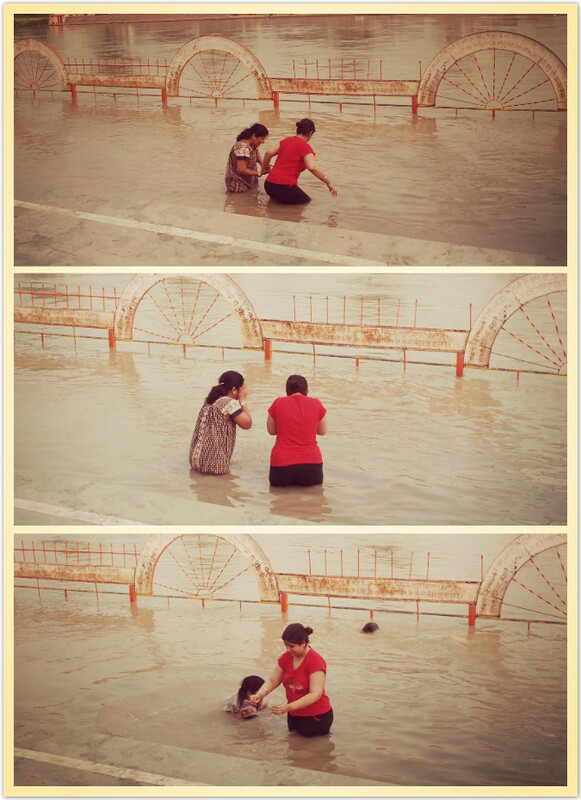 bath in the holy river. Hanika and her parents came to this special bathing area that has a small Ganesha altar in the middle. Hanika's mum held her hands and led her to enter the water, they then washed their face into a handful of the holy water and slowly squawked down to soak their body into the river. 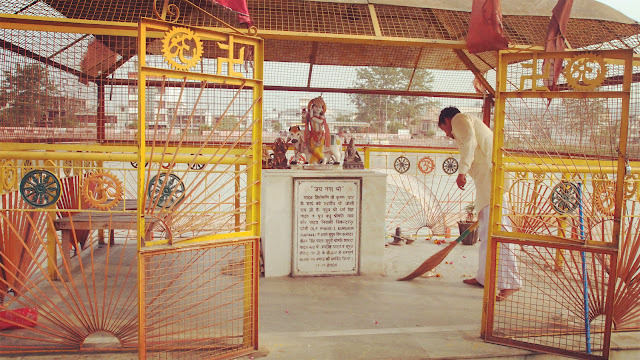 I remember Hanika was saying she doesn't want to bath in the Ganges river as it was pretty dirty, but her parents told her this is her religion and she should respect the ritual and pay her gratitude to god. Hanika is so sweet that she cannot say no to her parents, plus her parents got the point! 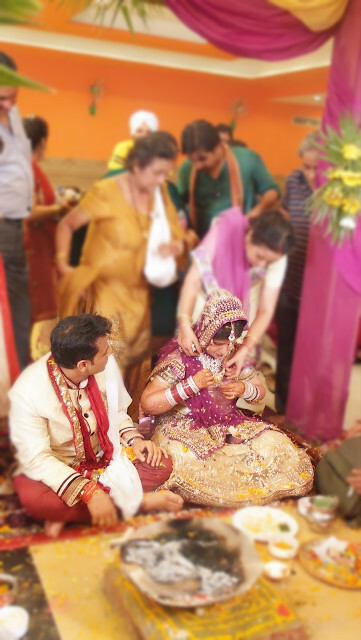 I am sure she felt more complete after the little bath and set off for her wedding! 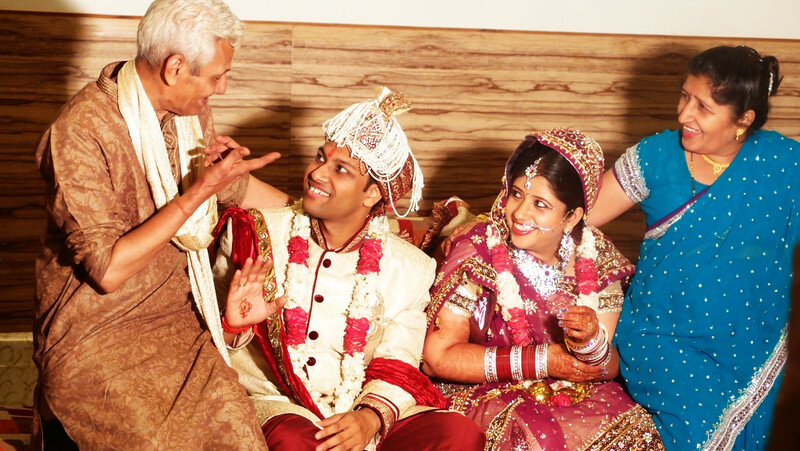 I am sure you have heard of India Weddings can last from couple of days to a week. 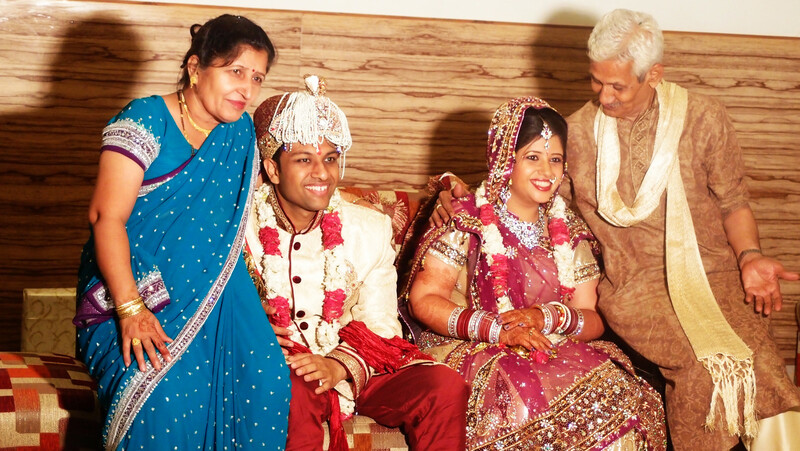 Our dear Hanika's wedding has a 3 day program. The first night was at her place in Kiratpur, this day that we set off for Chandigarh is the second day. 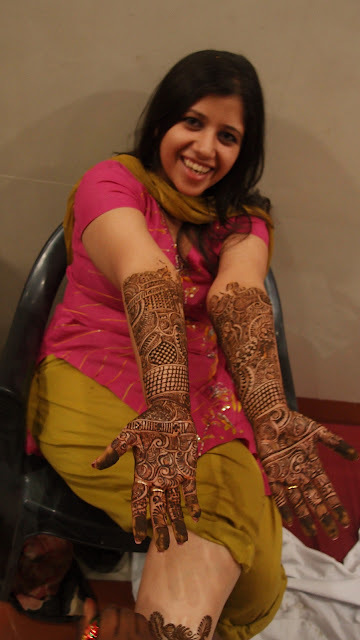 The program includes the ring ceremony and Mehndi night. The third day would be the ritual ceremony at night. At the ring ceremony, the couple will exchange rings and receive presents and pressings from friends and relative. It took place in a community hall in Chandigarh. Again, Hanika's hundreds and ten relatives filled the hall and witness the ceremony. 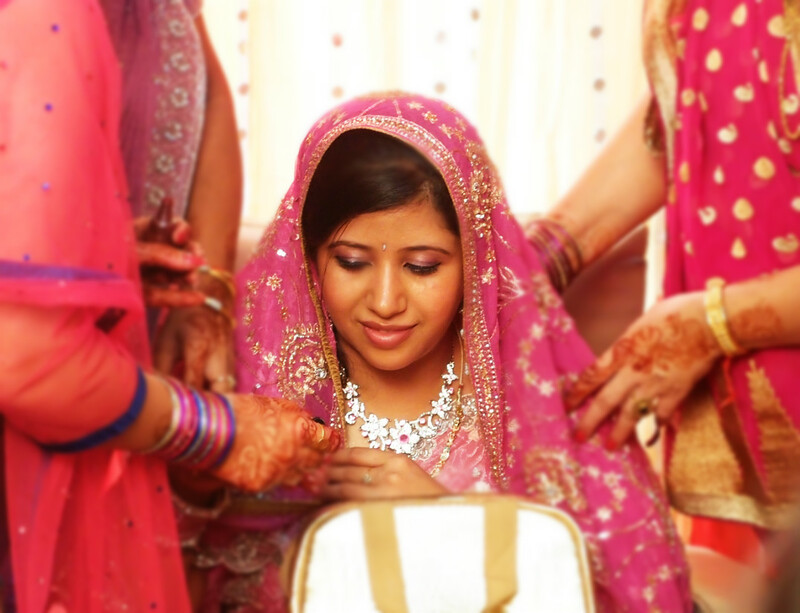 Hanika looks stunning in her pink Indian wedding gown and her bling bling accessories. Her relatives were all in matching pink dressing code and the whole combination made the place look really sweet and warm. 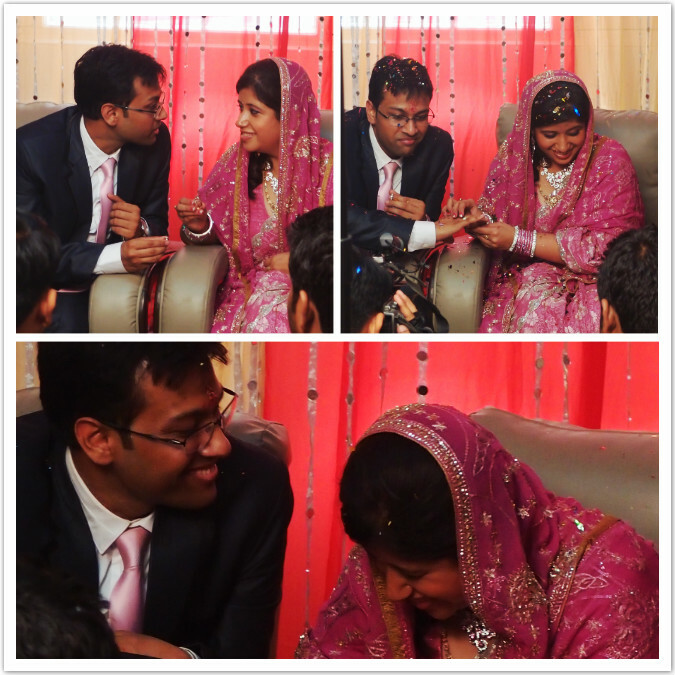 The groom was dressed in a black suit with a pink tie too! 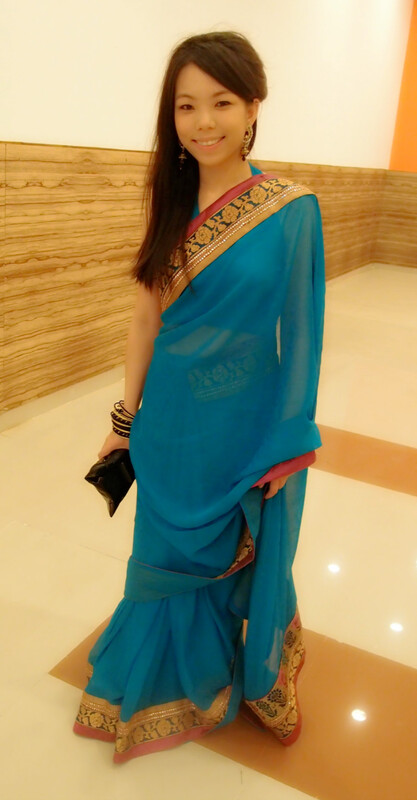 The hall was not heavily decorated with balloons or flowers, but the venue cannot look more colorful with saree in all kind of colors! 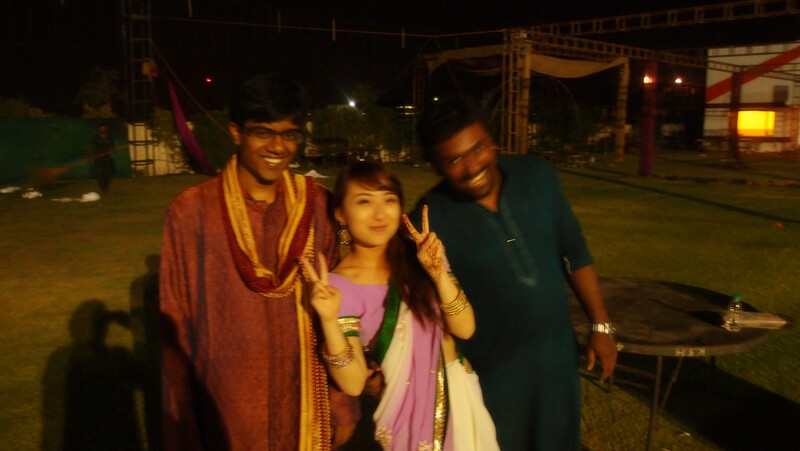 After the ring ceremony, we hung out with colleagues who flew from Mumbai in Chandigarh City. We went to this little shopping mall in the hope to look for some bangles and ear rings to match our outfit at night. 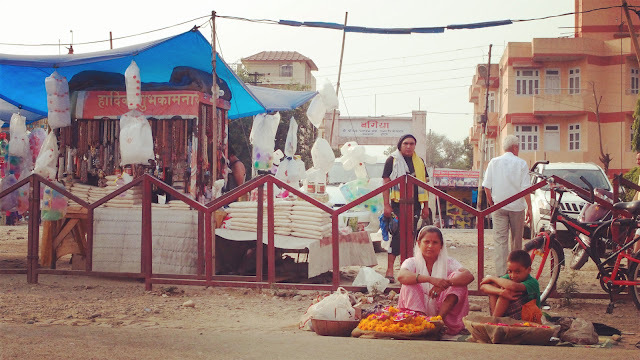 Even though we did not really do any shopping, but I noticed a pattern in India's shopping malls, or actually some major touristic spots like the temples or shrines - you will need to go through that kind of safety check before you board a plane. They even have that in a cinema! I guess after some terrorist attack (like the one in Mumbai Taj Hotel in 2008) has raised the safety concern and therefore it is strictly implemented even in a relatively small city like Chandigarh. We then returned to join the Mehndi Night. 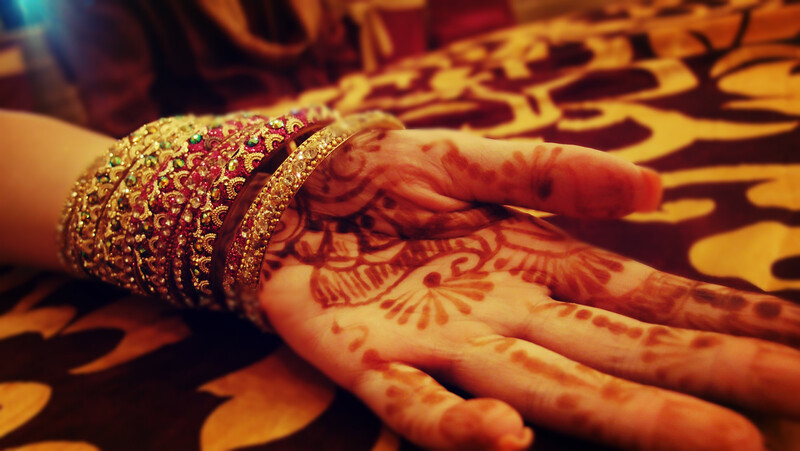 Mehndi is the hanna, the temporary tattoo that is drawn on your palms and arms. 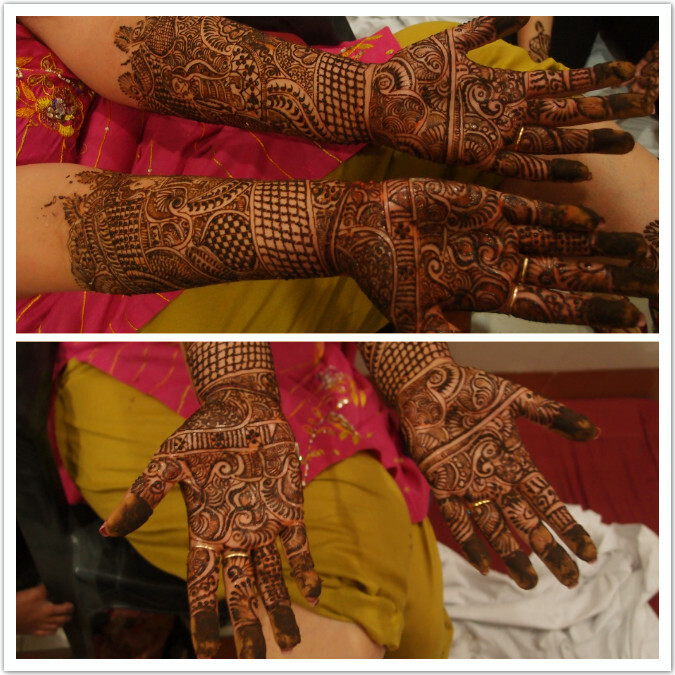 It is a wedding tradition that the bride would be decorated all over the body with Mehndi. They are detailed and are designed as impeccable as jewellery. It is an occasion that involves music and dance to celebrate the elegance and beauty of the bride with her mehndi. 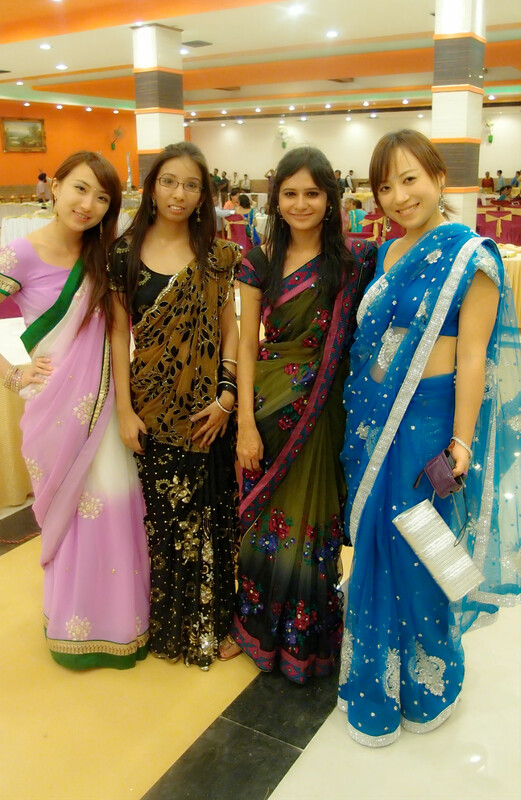 The dinner buffet served vegetarian and us girls all lined up to get our Mehndi done too. 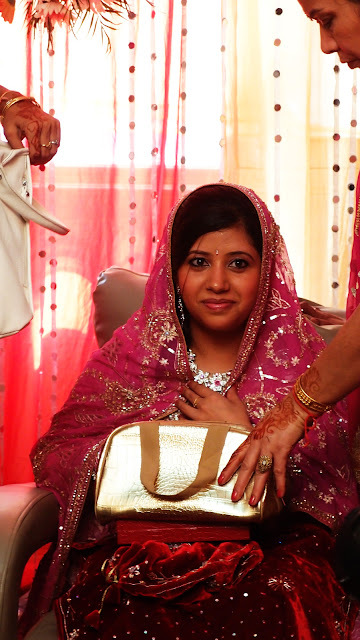 Punjabi wedding does not serve alcohol too, especially to girls. But the relatives are so nice that they took over a small room as the secret drinking venue. They invited us and we got to drink with the uncles and of course, Hanika's proud dad whose beautiful and kind daughter is finally getting married. The last event of the program is the Barat Reception in an Orchid Farm. We heard the venue is like a resort, and is going to be an outdoor buffet banquet with a large stage for guests to dance! 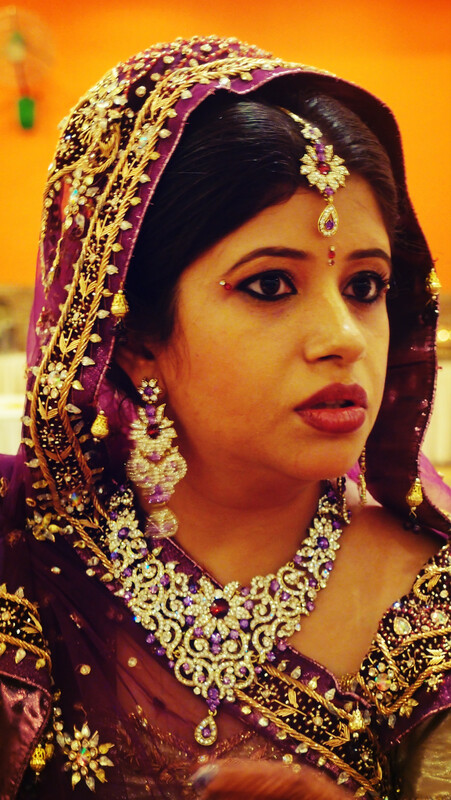 and Here is what you should really learn from the Punjabi Wedding. i.e. It never follows the schedule! On our invitation card, it is written that the reception would start at 8:30pm, but at around 7:30 our friends still looked pretty chillaxed in the room, having no intention at all to dressed up for the banquet. We thought the venue is quite close so tried not to be too nervous about it and go with the flow with them. However one hour later, they still look completely fine even the time is up! 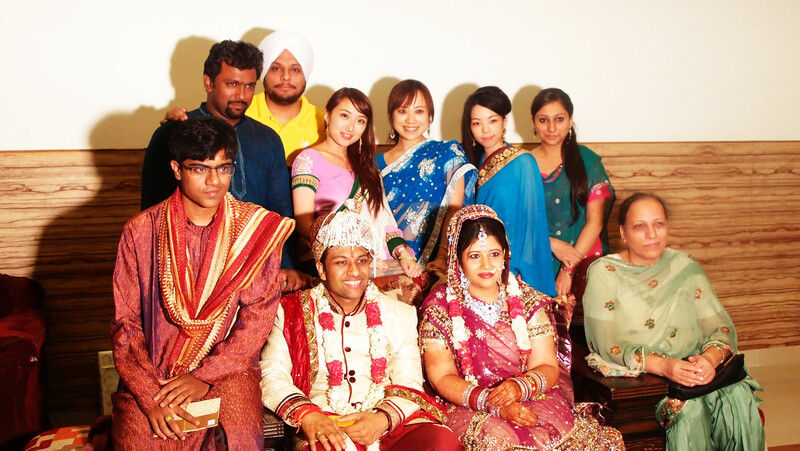 But the big brother of our "crew", Joel said "Punjabi wedding is never on time". 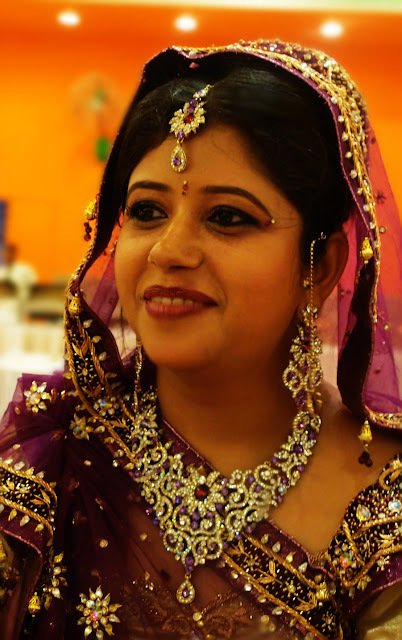 I have no ground of knowledge of Punjabi wedding, I don't even know there are so many different kinds of Indian Weddings to begin with.. so yes.. I just need to wait until Brother Joel said it's time to get dressed. When we were about to leave, Dilpreet said that there is likely to be a storm coming and if so the wedding is going to move to the indoor hall and there will be no music and dance! He was right!! When we got off the van, we could hardly open our eyes, it was so windy that the sands in the garden were all blown on us. We had to hide behind the cars in the parking lot! Suetyi and I used the Saree to wrap our heads to prevent the sands from going into our eyes, we couldn't even open our mouths and talk! We then tried to run into the hall like ninja, hopping around cars to avoid breathing in sands. On the way I vaguely saw even the reception arches and trees as deco had all fell down!We then quickly ran into the venue like mad women with beautiful saree wrapping our heads, and was completely speechless after the "happening"... didn't expect it was so hard to stay elegant and normal on my first Indian Wedding adventure. 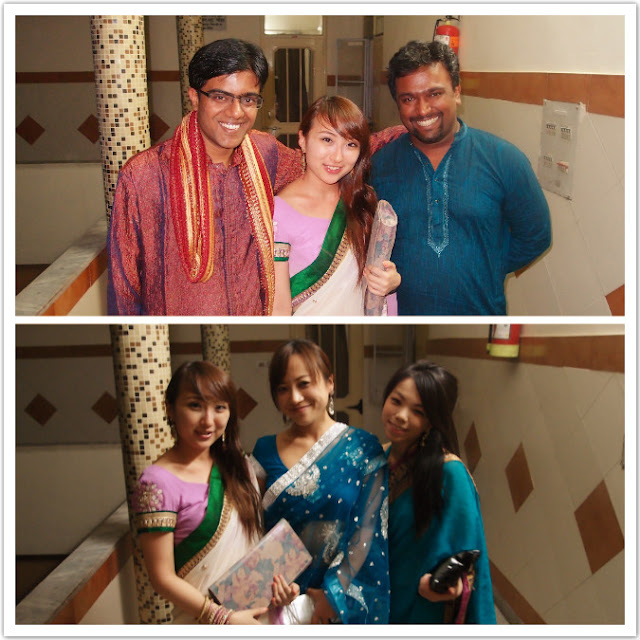 The newly weds were in the end of the hall taking pictures with guests when we entered. By the time we started to have our "dinner" it was already mid night. 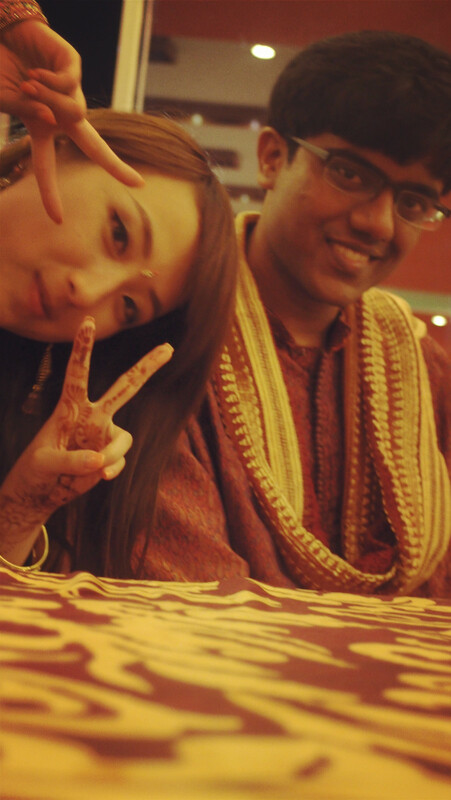 We waited for another good 2 hours before the newly weds done with their photo shoot and proceed to the Pheras ceremony. We killed time by taking pictures and having fun on the lawn when the storm stopped. At about 2am, the Pherus finally started. 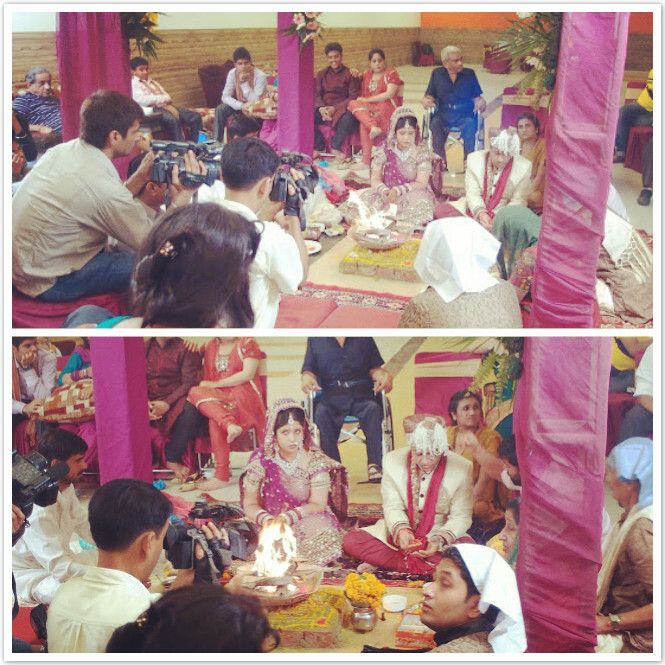 There are total of 7 pheras - meaning the couple takes 7 rounds around the sacred fire and make 7 vows to each other. The holy fire is considered as the almighty witness. 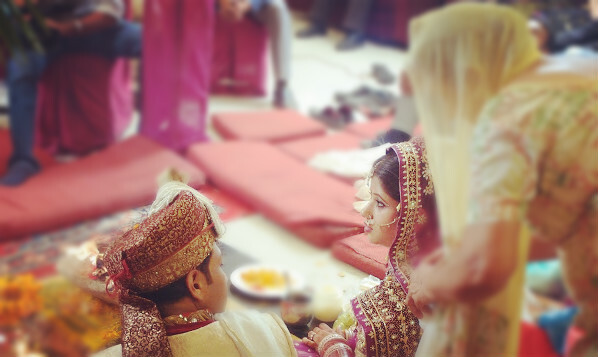 It is performed under a Mandap (a sacred canopy) and the couple sit inside, next to each other for this ritual. 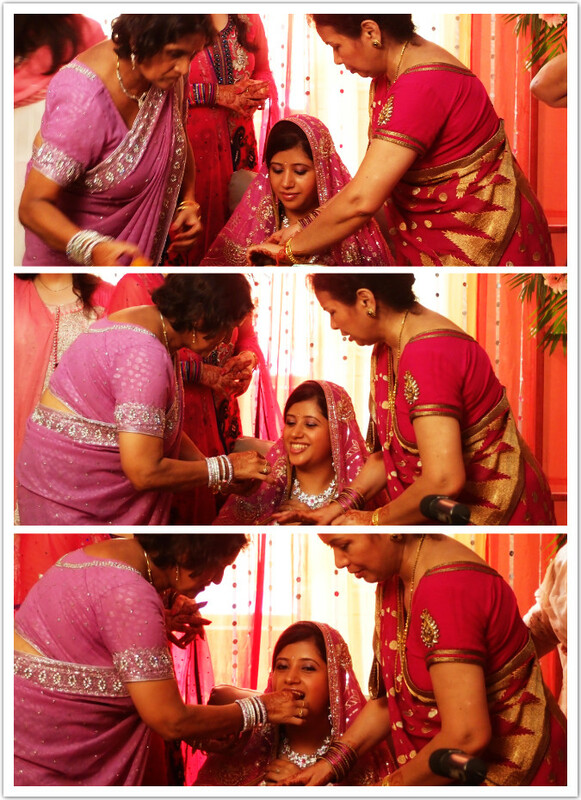 At the end of the ceremony the host will tie the bride's lenhenga to groom's sherwani with a sash. This is a representation that they are two in one now. 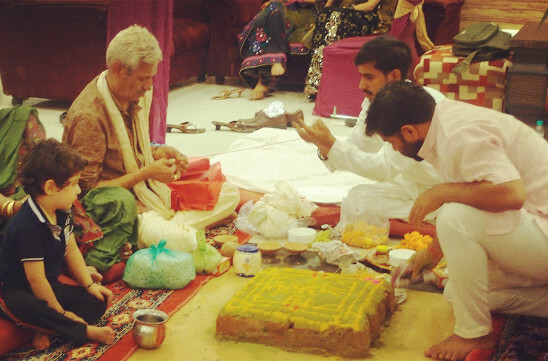 The whole ceremony last for couple of hours, including chanting of the vows and some rituals involving the couple's dads. I cannot describe how tired I was during the whole ceremony and try to stay awake. But this is one of the main reasons why we were in India, to learn about the wedding and respect the tradition. So we stayed through and manage to share one of the most important and happiest moment of Hanika's. p.s. Look how tired little Brenda is after a long night! its a nice blogs..i read 3 to 4 blogs mainly for hanika's marriage..i visited hanika's marriage by your stories..thanks alot..
you are welcome! 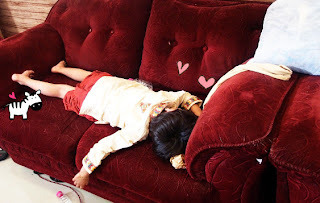 Thank you for spending time to read my blog! 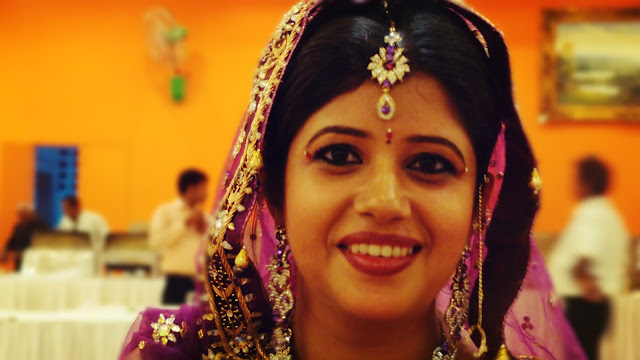 I am more than happy to cover her wedding :) Thanks again Ankit! 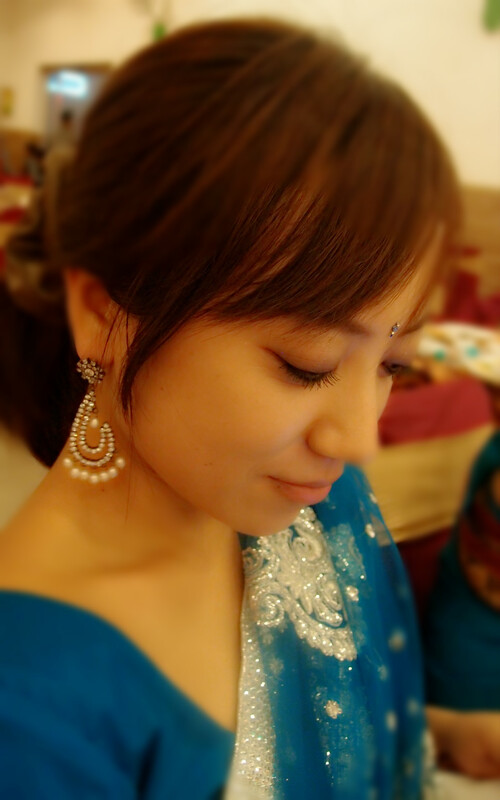 Nice Blog.. and the Nice wedding!!! and of-course, a beautiful description..
nice sharing, Love to see you in the costume, super cute. by the way, do you face any difficulty at that time travelled to india?